We are proud to be celebrating our twenty eighth year of successfully providing clients with exceptional wedding entertainment. Our Award Winning DJ’s, Bands and Live Musicians have reached the industries highest standards and recognitions which include being inducted into the very prestigious Knot Wedding Hall of Fame (that consists of the top 1% of wedding professionals on the knot), winning The Knot Best of Weddings for the past 9 years in a row, and being voted Wedding Wires Couples Choice Award recipient for the past two years in a row. clients achieve their Dream Weddings. Our clients appreciate our attention to detail and our unmatched ability to create the perfect dance floor full of family and friends. Our wedding DJ’s understand how to read a crowd and adapt to your guests musical preferences. 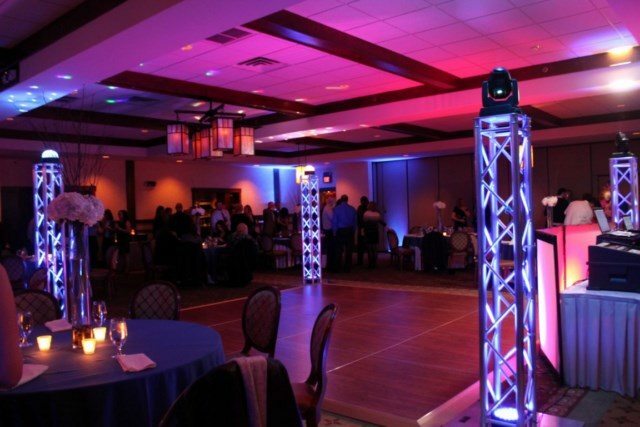 We are in the business of creating high energy dance floors in an elegant and professional way. Our top wedding DJ’s come professionally dressed in black tie attire and work feverishly to ensure all of your requests for your wedding entertainment are met. Our experience in the business will help you to make your dream wedding a reality. Our digital state of the art sound system will ensure that you and your guests all hear their favorite artists as crystal clear as possible. We also make sure that the music is at an appropriate level so that it does not disturb your guests as they dine. One of our most requested packages. This package combines the high energy digital sounds of our Platinum DJ’s playing along with our elegant ensemble of accomplished musicians. All playing together in a streamlined approach to providing our clients with the best of both worlds. Our DJ’s provide the artists and music the way they were recorded and our live musicians bring the elegance and tradition that only live musicians can capture. Some of our top wedding bands and live musicians have performed with some of the most famous musicians in the world and have achieved top industry honors and designations. Many have been educated in some of the top music schools in the country and abroad. Pure Platinum Party photo booths are high quality and use professional lighting for your images to print out in high resolution. Photo booth packages include unlimited prints & props. Packages may also include a custom album. We offer a variety of high quality photo booths including open air photo booths with professional lighting, open air photo booths with a custom step and repeat banner, pipe & drape photo booths and enclosed photo booths with an LCD screen to view your photo booth pictures in a slideshow format throughout the reception. Pure Platinum Party offers a green screen option where your guests can pick from various custom images to appear in the background of their photos. All of our photo booth attendants are professional and will provide you with the highest quality of service on your wedding day! A romantic way to WOW your guests. 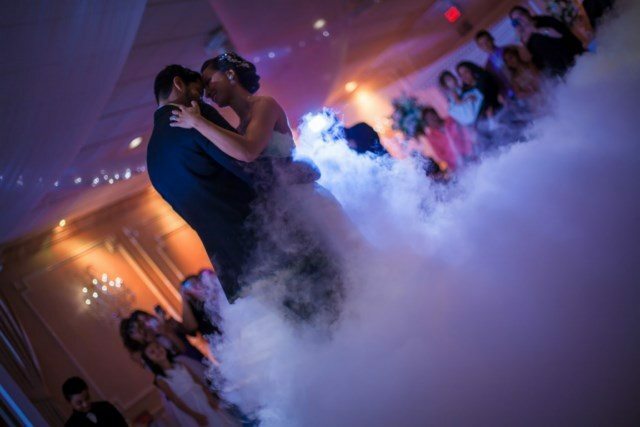 This low lying fog effect creates an elegant feel of “dancing on the clouds” during your entire first dance. Enhancing and personalizing your wedding day decor. 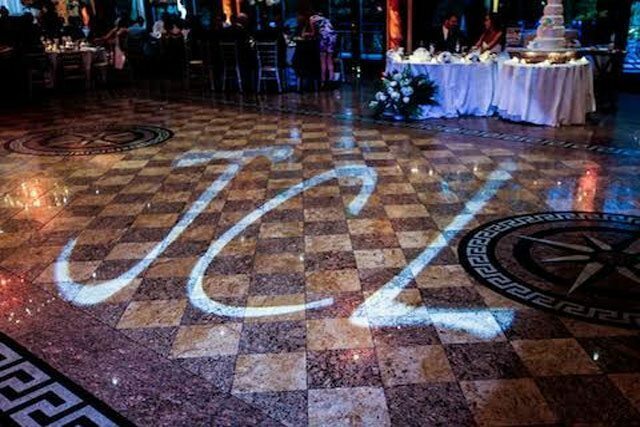 Couples can choose to place their custom monogram in the center of the dance floor or on the wall of their reception room. This is for the couple that wants to create a high energy nightclub feel on the dance floor while still maintaining an elegant wedding. Enhance your reception room with any primary color that matches your decor! 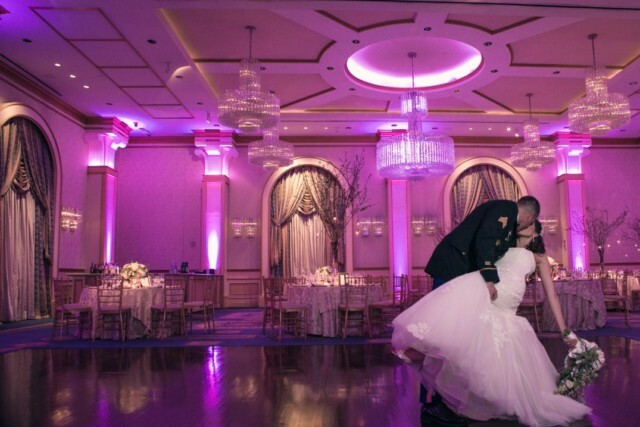 Uplighting gives your room a very soft, elegant feel while your guests dance the night away at your reception.